March for Life in D.C. U.S.A. This Friday is the March for Life. And as usual. Not much mention from media including Fox New. But hear plenty about man and baby hater March. And the March itself is becoming more secular. Re: March for Life in D.C. U.S.A.
A pro-life woman was arrested and jailed for setting foot on the premises of an Ontario abortion clinic, the media reported Monday. Shortly after, police arrived and dragged her out of the building with her hands cuffed. Wagner was not yelling, chanting, or loudly protesting but simply offering cards to women entering the clinic. US vice-president Mike Pence fired up tens of thousands of anti-abortion activists who gathered on Friday for the 44th March for Life, celebrating a political shift in their favour with the election of president Donald Trump. “Life is winning again in America,” Mr Pence told the demonstrators on the National Mall, near where Mr Trump was sworn in a week ago before hundreds of thousands. The March for Life took place in the same area where even more massive crowds flooded Washington a day after Mr Trump’s inauguration in favour of women’s rights, including abortion rights. 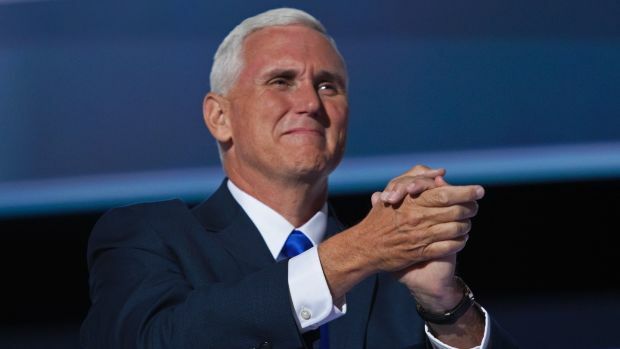 Mr Pence, a longtime hero of the anti-abortion movement, is the most senior government official to speak in person at the rally, organisers said. As governor of Indiana, he signed what were seen as some of the nation’s strictest abortion laws. Mr Pence praised “the election of pro-life majorities in the Congress of the United States of America,” Mr Trump’s upcoming nomination of an anti-abortion supreme court justice, and the president’s reinstatement on Monday of a policy that cuts off US funding to healthcare providers that promote or provide abortions overseas. “It’s the best day I’ve ever seen for the March of Life,” he said. The March for Life is an annual rallyprotesting both the practice and legality of abortion, held in Washington, D.C. on or around the anniversary of Roe v. Wade, a landmark decision which was issued in 1974 by the United States Supreme Court decriminalizing abortion. The march, whose stated mission is "to provide all Americans with a place to testify to the beauty of life and the dignity of each human person," advocates for overturning Roe v. Wade. It is organized by the March for Life Education and Defense Fund. The 45th annual march, held on January 19, 2018, featured President Donald Trump as the first U.S. President to address the crowd live via satellite from the White House Rose Garden rather than via phone call or recorded message as were done by previous presidential addresses. January 19, 2018 (LifeSiteNews) —This slightly revised version of my August 22, 2012 blog post is even more important today. That is because of the inexplicably aggressive opposition to the Heartbeat Bill by some of the leading US pro-life organizations and pro-life political leaders. This would have greatly distressed Nellie Gray. What is worse is that this opposition is occurring during the extraordinary window of opportunity of having (for now) the most pro-life President ever, who would very likely support and strongly talk up the bill - if only the pro-life leaders would get their act together about what they claim about wanting to stop ALL abortions. I can't imagine what President Trump is thinking when he sees a powerful bill - with strong congressional support and which would prevent most abortions - being actively opposed by some pro-life leaders who instead promote a bill that will only ban the killing of a comparatively tiny number of abortion victims who are born alive (although that is also a worthy bill to support). Political pragmatism betrays that one does not believe in the power of truth and grace and that one foolishly believes they can actually predict for certain, like a crystal ball, what will and won't work politically and legally. It is a siren song that appeals above all to human pride. I have come to despise political pragmatism when it comes to life and death issues. It has caused much unnecessary heartbreak over the years, has been the bane of the pro-life movement and is, in my view, a form of denial of Christ. It sends the message that Our Lords's all-powerful truth, his grace and relying on Him above all else, are just not good enough. I cannot see that we can ever win with that attitude of the superiority of political "experts'" earthly strategies versus trust in God. ............WASHINGTON, D.C., August 22, 2012 (LifeSiteNews) — The death of Nellie Gray on August 13, 2012 has led to more reporting of the March for Life Fund’s “no exceptions, no compromises” Life Principles which Gray strongly promoted all during her years of leadership with the march that began in 1974. In the video of a September 14, 1994 in which Gray was interviewed by Mother Angelica, Gray was given an opportunity to fully explain her position (from start to 12:00 minutes) which in her view was the only one that a true pro-life leader could hold. We like Pence too. Both he and his wife were Catholics. I don't know where they go to Church. I did give him a Rosary. Fox News mentioned the other March more. I hope my husband gives up television for Lent. Very interesting thread. Thank you, VivaCristoRey!